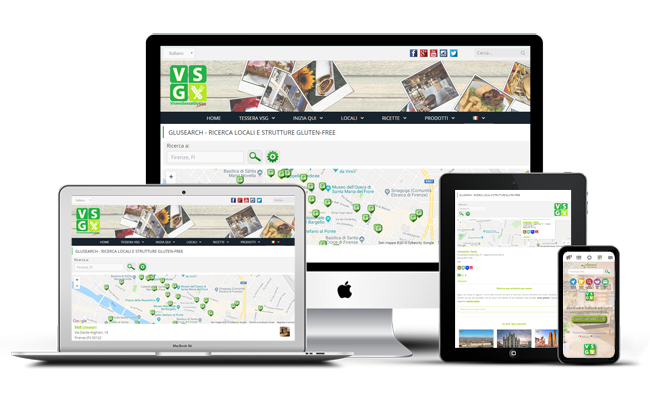 From the home page, you can search for all facilities with gluten-free options by entering the city, province, or county. For more detailed searches, you can type in the full address where you want to find information about any activities that offer gluten-free options. You can also search directly from your location, thanks to the use of geolocation of your mobile device. In addition, you will also be able to find the business you are interested in through a simple search by name, extended to facilities all around the world. Create a list of Favorites on Glusearch before your departure and, when you’ve reached your destination, you can have them right at your smartphone’s fingertips. 1 Login with your Glusearch Account. 2 Search for one or more places of your interest. 3 Browse the list of the found establishments. 4 Look at the details and add the ones you like to your Favorites. Through the form dedicated to each activity, you can read or write reviews of the facilities of your interest. Each establishment will be able to receive evaluations, so that anyone can express a personal opinion about their experience, as well as to understand what to expect from the venue, before going there for the first time. Your opinion is very important and can help many other people who, just like you, follow a gluten-free diet. 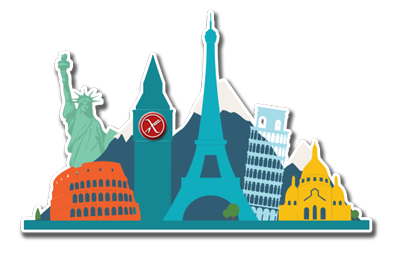 On our app there are gluten-free facilities and venues all around the world, with specific details for each of them! 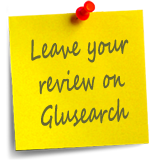 Glusearch is the best app for gluten-free: it’s the only one able to guarantee, in addition to the basic information of each activity, also a lot of specifications such as web links, email, main photo, indication if it’s part of an association of coeliacs, exact location and navigation via smartphone and tablet. To contact our staff please send us an email.